ColdEX Ltd (CEL), India’s largest organized integrated food supply chain and distribution company filed its DRHP with SEBI. 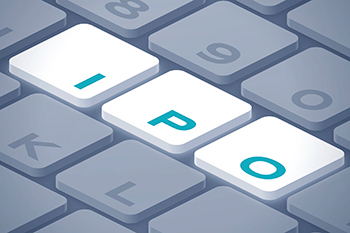 The Initial Public Offering (IPO) comprises of 26.6 lakh equity shares of face value of Rs10 each (equity shares) of ColdEX. The offer comprises of a fresh issue of upto 10.10 lakh equity shares (the fresh issue) and an offer for sale of upto 16.56 lakh equity shares by SABR India Investment Pvt Ltd. (selling shareholder). The offer comprises reservation for subscription by eligible employees (the Employee Reservation Portion). Pantomath Capital Advisors Private Limited is the Book Running Lead Managers to the issue. CEL’s integrated offerings, surface logistics and warehousing infrastructure, Pan-India distribution network, and modern technology systems support their competitive market position. The company caters to a wide range of industry sectors and business segments including food service market, FMCG, confectionary, dairy, retail, etc.